NSS Special Camp has been organized by NSS Unit I ,II, III, IV & V of Nehru Memorial College from 26.02.2018 to 04.03.2018. One hundred NSS volunteers and Programme Officers attended the camp. 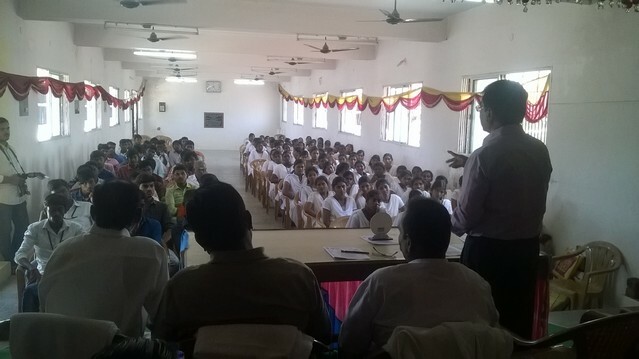 The main theme for this camp was "Youth for Cleanliness". The seven days Programme included different activities and awareness programmesin adopted village (Thinnanur) performed by the NSS Volunteers. The NSS Special Camp inaugurationProgramme held at Kamatchi Amman ThirumanaMandapam of Thinnanur Village at 10.00 a.m on 26.02.18. 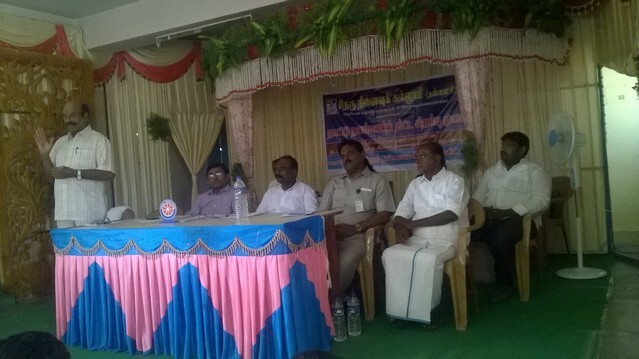 The Chief guest Dr.P.Krishnan, Assistant Professor, Periyar E.V.R. College Tiruchirappalli, and other dignitaries were welcomed by NSS Programme Officer Prof.A.Jagadeesan. The inaugural speech was delivered by Dr.A.R. Ponperiasamy Principal of college, Mr.N.Boopathirajan and Mr.P.Natarajan, emphasised the role of NSS in the community services. Er. Pon .Balasubramanian, President of college felicitates the function.MRS.R.Karpagaselvi, Thinnanur Village Secretary and several village people attended the function.Dr.V. Kaleeswari, NSS- Programme Officer, proposed the vote of thanks.After the inauguration session, Various Committees were formed and the students were divided into five teams and the responsibilities were explained to them. The evening session of the day began with a Procession by volunteers in the village. Volunteers rallied into the streets of the village to create awareness among the villagers about the ensuing special camp programme in their village for a period of one week.